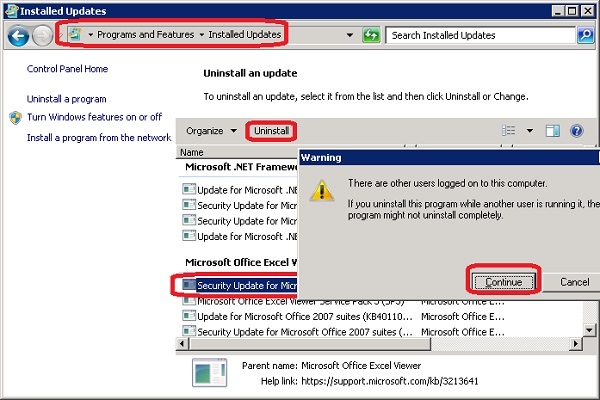 How to Uninstall installed updates from Windows Update on Windows Server 2008? 1. Go to "Control Panel > System and Security > Windows Update". You see the current update status of your Windows system. 2. Click on "Installed Updates" link on the left. You see a long list of installed updates on your computer. 4. Double-click on "Security Update for Microsoft Office 2007...". You the uninstall dialog box. 5. Click the "Uninstall" button to uninstall the selected update.